After talking with Ron (Technical Advisor), I spent the day sanding down the voids on the longerons, and trying to fill about 30 air bubbles with epoxy. Still have a few more voids that I missed, but will wait till the epoxy dries first. Bent all the needles, so I will need to get more before I can continue. After noticing more voids that needed to be sanded, I made the executive decision to completely sand down the surface of the longerons. I feel much better about the structural integrity of this decision, and this will also save on weight. Seemed like the right choice. Finished up sanding the longerons and rounded the corners again to transition the UND cloth nicely. Too late to start this layup, so I cut some boards with a groove in them that I will cut into blocks for clamping down on the triangular lower longeron. Cut the UND cloth I will need for the longerons layup, and cut a few BID patches for where I was a little aggressive with the sanding. Glassed the longerons after hours of sanding the mess from the previous attempt. The “shortcut” method I tried last time took 6.5 hrs, while the plans method took 3.5 hrs. I also had all the glass cut to size this time, and I didn’t have to add as much flox, but still a time savings, not even counting the 12.5 hrs of sanding. Peel ply’d the edges for a nice transition. My first repair was a doozie, but looks like I faired out pretty well in the end. Drilled the holes in the lower longerons on the drill press. 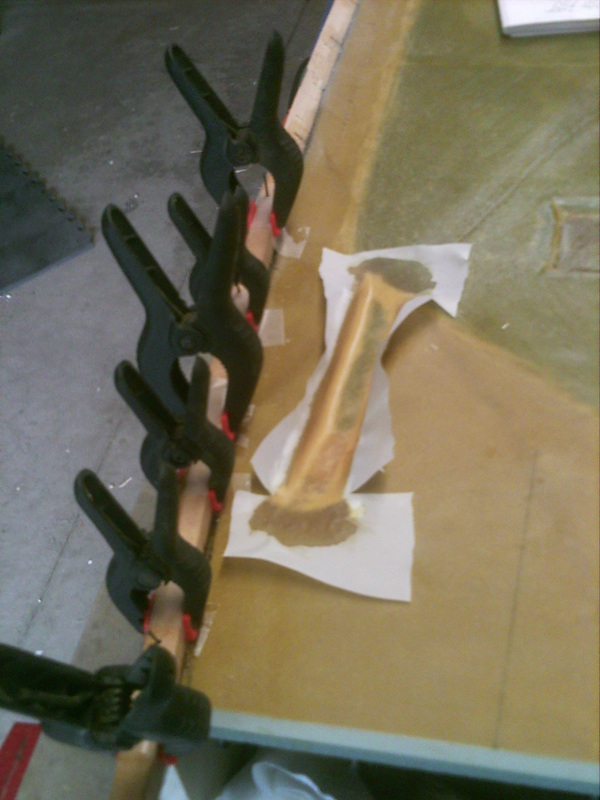 Lined them up fluch and predrilled into the fuselage sides (mistake). Realized that the plans mention (twice) about double checking the dimensions in figure 5. After double checking, I found it to be off in some places. Had to re-drill after moving the lower longeron in some places. Had to read ahead in the plans to verify if the lower longeron hanging slightly off the end of the foam would cause an issue, and it will not. 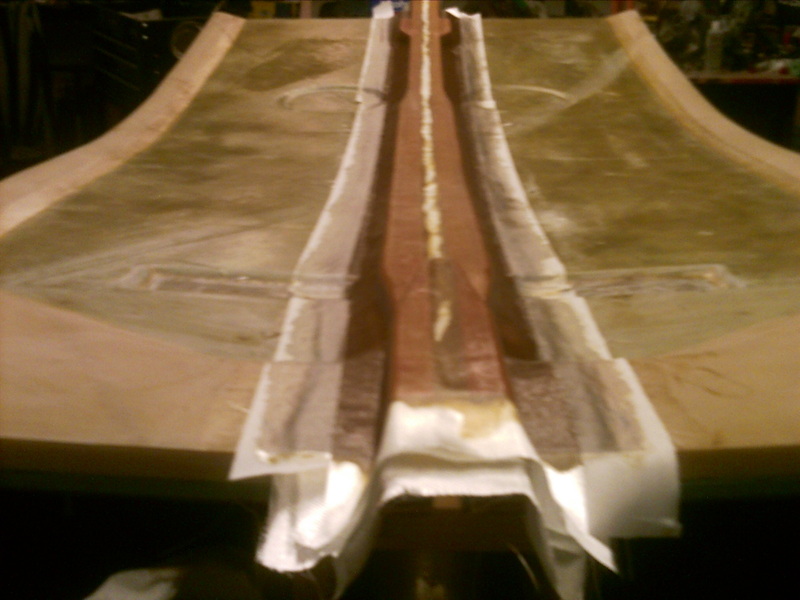 Floxed the lower longerons onto the fuselage sides. Quadruple checked the measurements from figure 5. Found it helpful to write the measurements directly onto the lower longerons in pencil every 10″ as shown in figure 5, as I checked the measurements often. No second guessing! 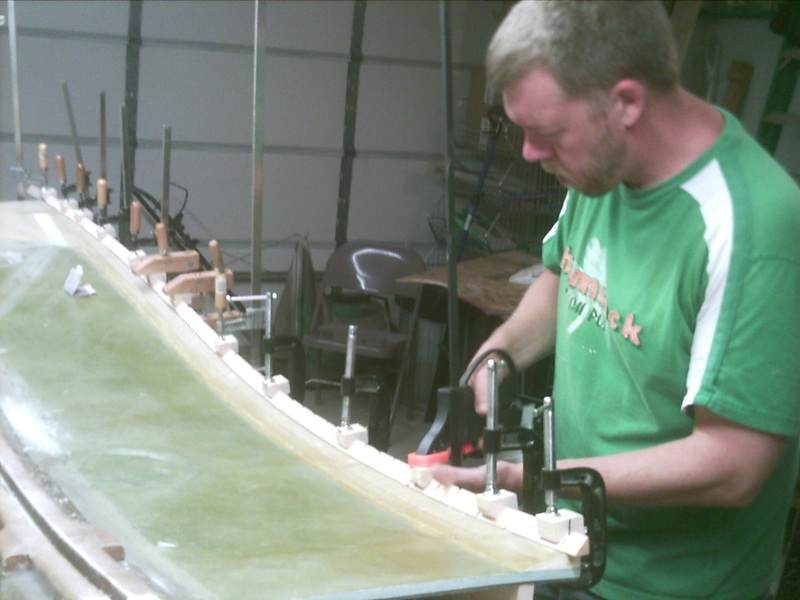 Clamped them to the fuselage sides using blocks that I cut out to fit the triangular shape of the lower longeron. Floxed the lower longeron doubler. Pre-drilled holes after fitting to the lower longeron, and used spring clamps to keep a nice close fit. 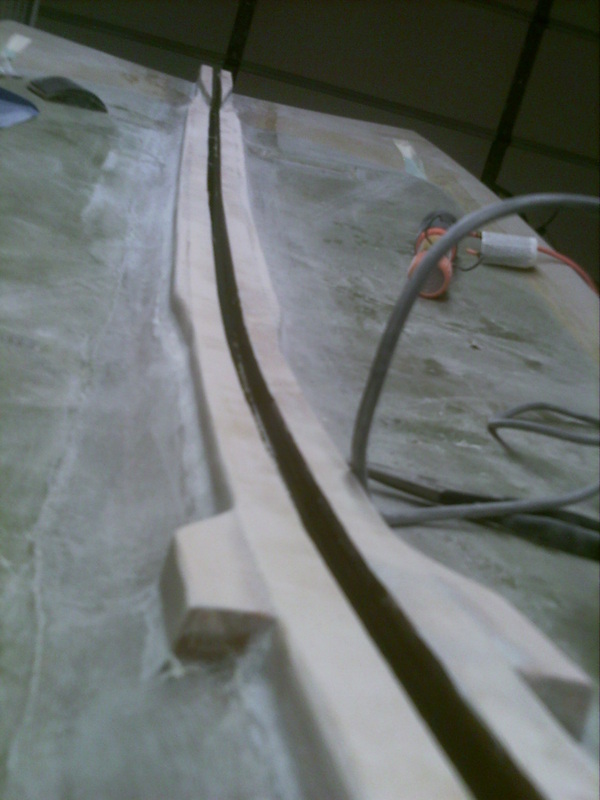 Sanded the upper longeron where it sticks off the end into the firewall. 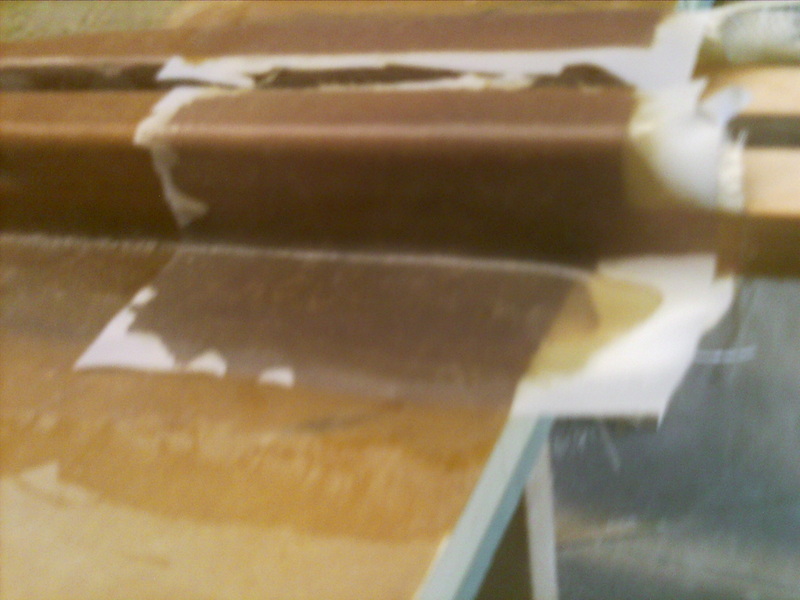 There was some delamination there, and I patched with 4 overlapping, feathered layers of UND. One BID on the inside of the electrical duct. Peel ply’d the electrical duct and the patch on the upper longeron. 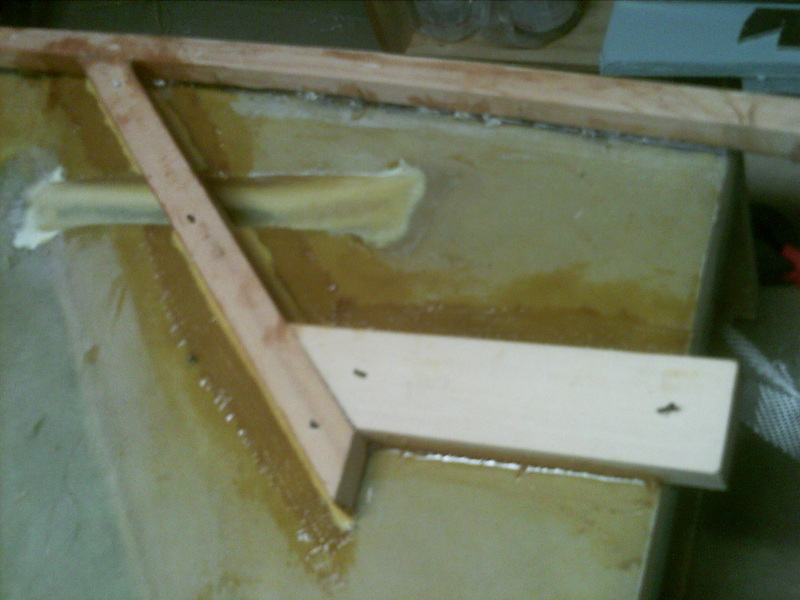 Floxed on LWX and LWY and taped the edges as stated in the plans. Added nails to keep them lined up, and added weight for curing. 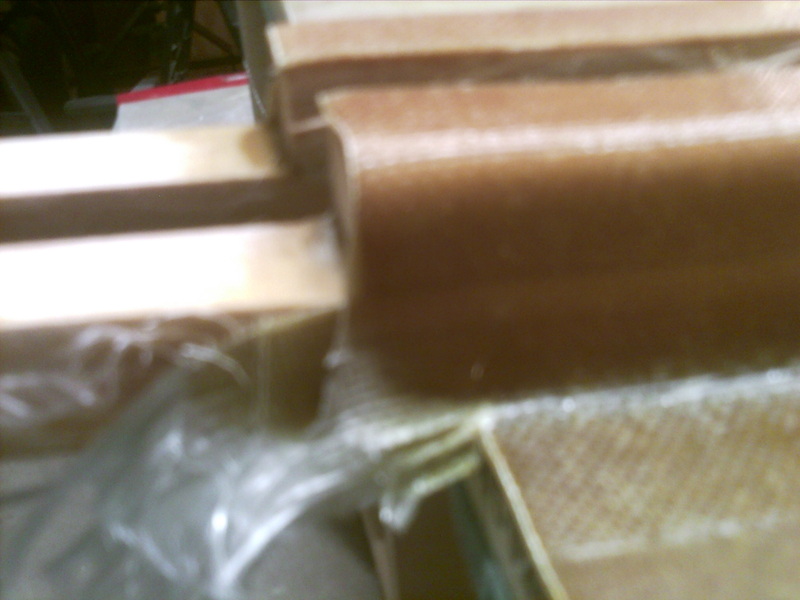 Finished shaping the electrical duct plugs, covered in tape, and glassed with one layer of BID.